that look really cool and I decided to explore it a little. Since I know myself and I tend to spend ages on setting up on a piece of software (i.e. trial & error approach with heavy help of Google) and in the end it crashes completely I decided to try Docker as well. But … since I am now using Windows 10 and boot2docker using VirtualBox does not work here and VMWare provider for Vagrant is $78 and … stop … end of excuses: I chose CentOS image running in VMPlayer. So I got CentOS image up and running with docker daemon running, phusion/baseimage-docker image added (because it is special and fixes some stock Ubuntu 14.04 base image issues). # sure you lock down to a specific version, not to `latest`! # a list of version numbers. # Use baseimage-docker's init system. 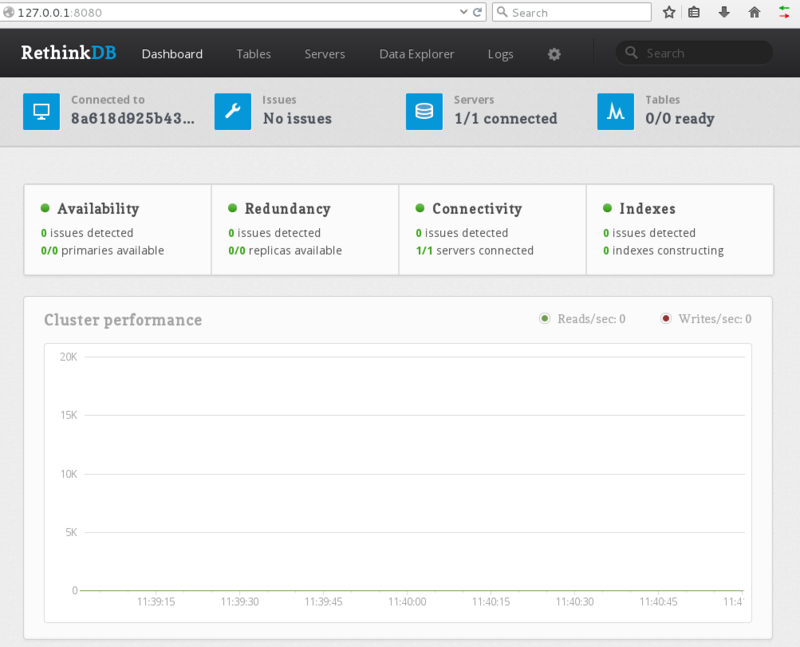 That will install RethinkDB startup service and start it! And the administration UI is accessible at http://localhost:8080! System.Runtime.Remoting.RemotingException: Attempted to call a method declared on type 'Ninject.IInitializable' on an object which exposes 'ClassB'. The problem is that NInject tries to call Ninject.IInitializable.Initialize() on remoting proxy (ClassB) and that fails since that class does not implement that interface. This call is made by one of the activation strategies in the pipeline. The workaround is (inspired by Ydie’s blog post) to create new kernel class derived StandardKernel, remove all instances of IActivationStrategy from Components collection, return some of the default strategies back and add my own strategy that does not try to invoke Initialize method when the object being activated is instance of MarshalByRef class. /// Initializes the specified instance. /// <param name="reference">A reference to the instance being activated. System.TypeInitializationException : The type initializer for 'RMReportingPortalDataLayer.Strategies.ReportDeliveryStrategy' threw an exception. No way to resolve conflict between "log4net, Version=1.2.13.0, Culture=neutral, PublicKeyToken=669e0ddf0bb1aa2a" and "log4net, Version=1.2.10.0, Culture=neutral, PublicKeyToken=692fbea5521e1304". Choosing "log4net, Version=1.2.13.0, Culture=neutral, PublicKeyToken=669e0ddf0bb1aa2a" arbitrarily. I was referencing older version of Lib.Common library, so I updated it to latest version and problem was solved! error TS5037: Cannot compile external modules unless the '--module' flag is provided. I had to modify the file_regex too, because it was not working. Using SVG glyphs on web pages for custom icons is brilliant (see Font Awesome, GlyphIcons, …). The SVG glyphs are encoded using path expression to describe the vector graphics. But wait! 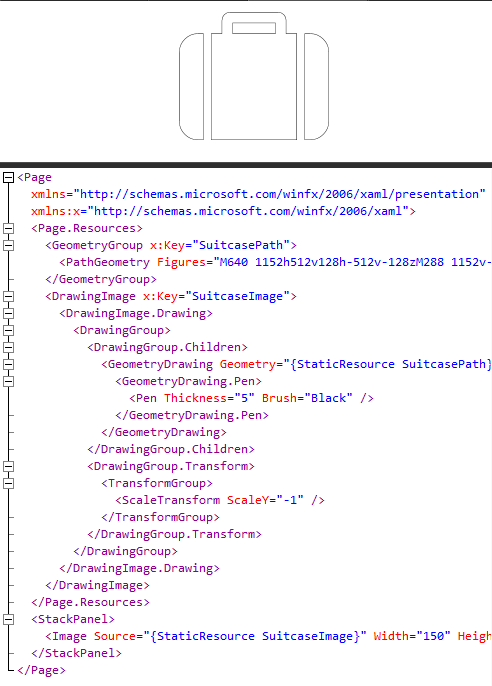 You can use the path expression to define a graphic element in XAML (which means WPF, Silverlight, WindowsPhone) too! Create DrawingImage. The geometry drawing must be turned upside down (see line 13). I googled around, but didn’t find out why. 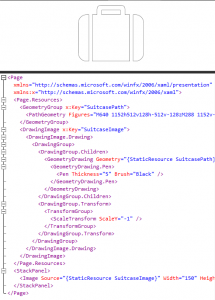 This is very simple approach how to use the glyphs in XAML. It does not allow you to easily reuse the icon with different colors (but you can change the line brush color on line 7 or set the Path.Fill brush) or it does not allow easy composition of icons (but you can add more GeometryDrawing to DrawingGroup.Children collection on line 5). A good example is a solution with UI controls – each project representing a group of UI elements or a single element. Like set controls from a big controls vendor – I imagine the solution is quite big with projects like grid control, map control, charting, etc. By adding a NuGet package projects you can keep these distributed separately – one package for grid (ComponentVendor.UI.Grid), one package for maps (ComponentVendor.UI.Maps), etc. End-users do not have to download one big massive package (ComponentVendor.UI) which will make them to delete the unused references later. The build and publication of the package is triggered by changes made to package project, for example by changing the package version. All distributed assemblies from the NuGet package are added as references to the project. 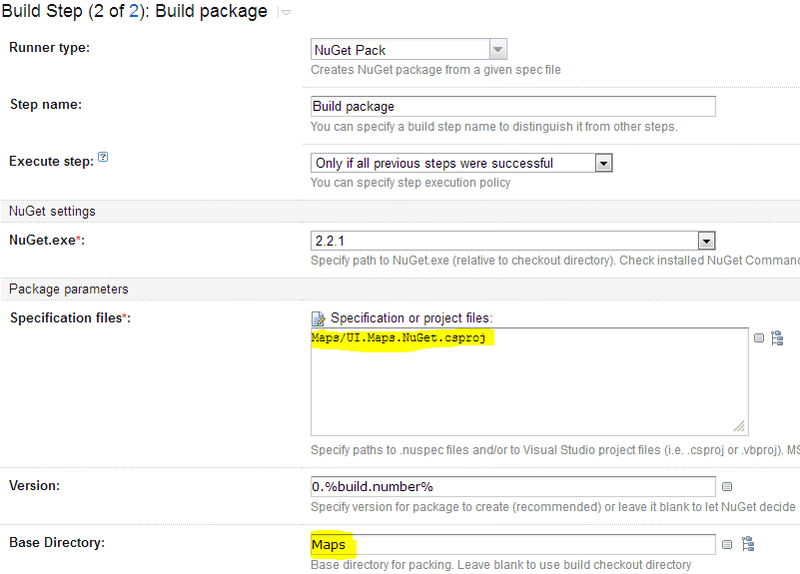 NuGet sets the HintPath of the reference with relative path (relative to the packages directory). When using a shared repository as described in previous post this brings some problems. The shared repository is stored somewhere on your machine and all project references added by NuGet should point there. You usually don’t clone your development machine directory structure on your CI server. The CI build will fail because the assemblies were not found (but they are there in the directory). Even NuGet package restore feature won’t help because it only downloads the missing packages and places them by default under packages directory in solution directory. But it does not change the HintPaths of referenced assemblies. You can’t event set the MSBuild project property AdditionalLibPath because you don’t know all the directories where the package DLLs are placed beforehand (of course I can create a build task). The solution to this is very easy, I found this discussion where a build property is used in HintPath. I had to extend it a little to support both local and CI builds and turn the package restore on. This setting covers both features – local development and CI build. Value of NuGetPackagesDirectory property will be set to the path to the shared directory (verified by Condition="Exists('$(PackagesDirectory)')") on local machine. On CI server this directory might or might not exist. If it does not exist it will be set to a packages directory under solution folder (used by package restore). The branch and changset details are available here.